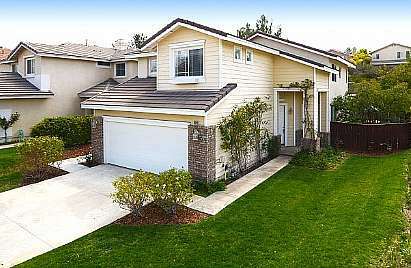 Beautiful move-in ready home in desirable Pacific Grove tract. Large 3 bedroom plus loft (with closet, could easily be made 4th bedroom). Open floor plan with formal living & dining rooms, kitchen with eating nook, family room with fireplace, and nice size yard with only 1 neighbor. Located on a corner lot on a short cul-de-sac street. Walk to community park and pool.